Everything we build is, in some way, tailor made to our customer’s requirements. However, if your requirements are unique we can help you with a custom made LED display that will exactly match your requirements. The number of options for indoor narrow pixel pitch solutions have risen in recent years and we are now able to offer LED from the super fine pixel pitches of 1.2mm up to pitches of 2mm, 3mm, 4mm, 5mm and 6mm. We work with reliable brands that offer UK support. We encourage visits to our showroom so you can see some of the products on display or arrange for a product demonstration. We design and build non-standard custom led signs and electronic LED displays from scratch. If you want to use the screen as a monitor you can connect devices via HDMI and VGA. Communication of information for brands and events is critical. Apart from on buildings, we have installed LED screens at sports events and on mobile classrooms to name two of the interesting installation locations we have had. Outdoor events throw up challenges like wind load bearing sums that need to be calculated. Sometimes the screens need to be generator powered if there is no local power source. 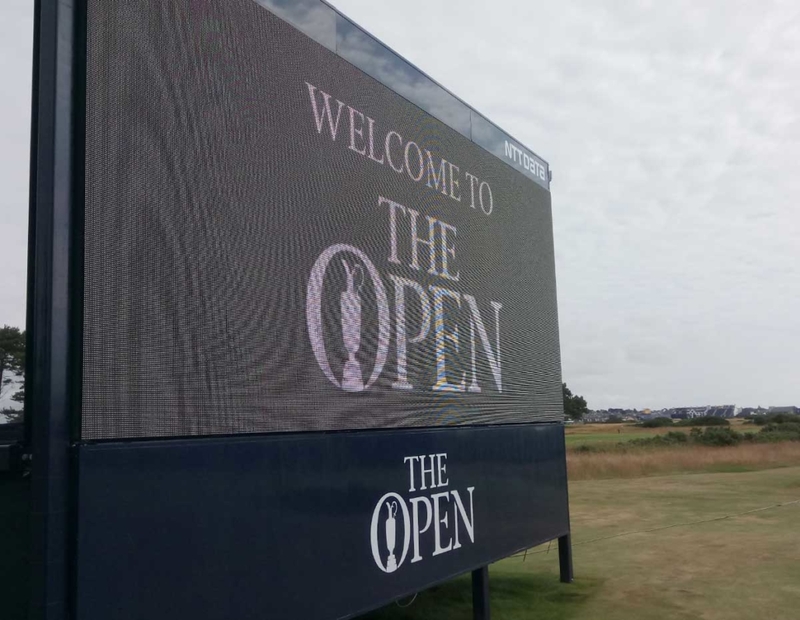 We have done this for many years at events such as The Open where we began installing screens in 2014 and it has grown significantly since then. 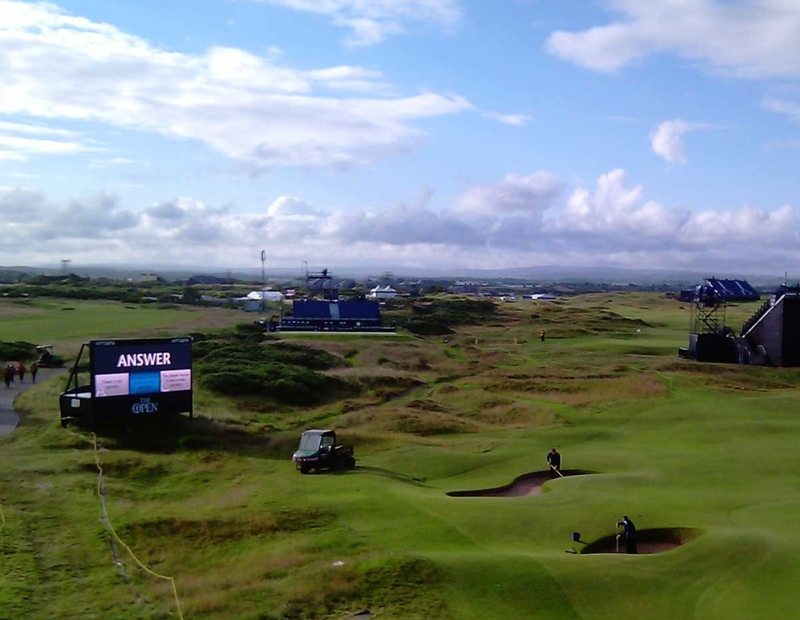 On practise days the screens display the tee times and hole locations players are on. 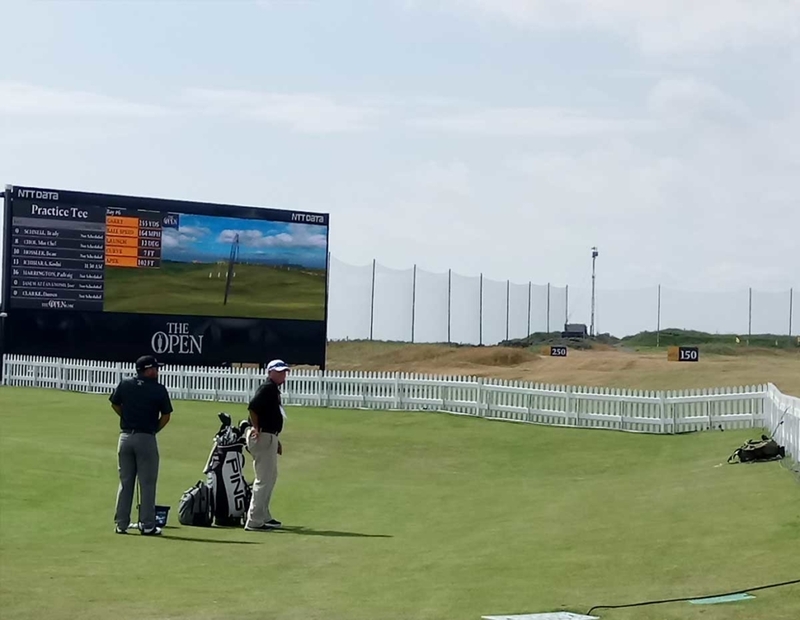 On tournament days the screens tell you who is playing on any given hole, helping to make a visit to The Open more informative and enjoyable.